It’s been a standout year in many ways - some less desirable than others. The Cliffs is a climbing gym, actually several climbing gyms: we build walls, the setters put stuff on them, and then you climb them. We can only hope that, in our gyms, you might discover something deeper than just pulling on plastic. Maybe you’ll discover your love for the outdoors, become an avid explorer and develop the next bouldering destination of the Northeast. Maybe you’ll be inspired by the dedication of your fellow climbers, start a training regime, and push yourself harder than you ever thought you could, achieve goals you never thought you would. Maybe you’ll find a career path you’re passionate about, meet your life partner, or connect with a community that feels like home. Maybe you’ll do none of those things, maybe it’s as simple as discovering a way to spend your time that only brings you joy, that takes you away from the minutiae of everyday stress: work, politics, commuting. The Cliffs is a climbing gym, but we really hope that you find it to be much more than that. This year in climbing, we saw many great achievements. Adam Ondra’s repeat of the Dawn Wall is almost as historic as its first ascent last year by Tommy Caldwell and Kevin Jorgeson. The route that took thirty years of climbing in Yosemite and a decade’s worth of seasons to crack was repeated by Ondra in a matter of weeks. Climbing was officially granted a spot in the 2020 Tokyo Olympics in a mixed sport and speed format, providing an international platform for what was once considered a niche sport. Nalle Hukkataival took down his infamous Lappnor Project, proposing what is likely to be the world’s first V17 boulder. Our hometown favorite, Ashima Shiraishi, became the first woman to climb V15 (at age 15), a feat that simultaneously leaves us all in awe and not at all surprised. Michaela Kiersch crushed multiple 5.14s in the Red River Gorge, and the first ever Women’s Climbing Festival was a sellout success, and is coming back for round 2 in 2017. In the midst of all these achievements, the American climbing media brought into focus the discussion of women in climbing and the persistence of sexism in climbing gyms and climbing culture. As always, we strive to rise above political rumblings and create a community of equality and inclusion, for all sexes, ethnicities, and faiths. We had a pretty great year Cliffside too. The first ever Tristate Bouldering Series Championship round in March packed the gym almost to capacity! This shot of the crowd was captured by member Josh Pestka. The TBS Champions: Ashima Shiraishi and our own Cliffs at Valhalla Head Routesetter Bryce Viola! Glory shot captured by member Andres Burgos. In one of the most memorable battles ever, two of the best climbers in the world, Alex Puccio and Ashima Shiraishi, went head to head in the finals round at TBS. DUMBO Boulders finished it's first season all the way into October. We were sad to finally close it's gates due to weather, but rest assured, DUMBO will be back in the Spring! Member Peter flexing on the bulge at DUMBO Boulders. The North Face NY Climb with the Pros event brought Daniel Woods, Alex Johnson, and Sam Elias to DUMBO Boulders to climb with our members! Daniel Woods came back along with Brette Harrington, Will Stanhope, Matt Segal, Josh Levin, and Ashima Shiraishi to give clinics during the first ever NYC Reel Rock Fest! The Cliffs at Valhalla stuffed with people for Feats of Strength XI finals! Across the board, our Cliffs Vikings team crushed this year! Hugo is currently the National Rope Champ in his category, and we have 11 kids headed to Divisionals in a few weeks! Valhalla's annual Halloween Blacklight Party was lit ... blacklit. 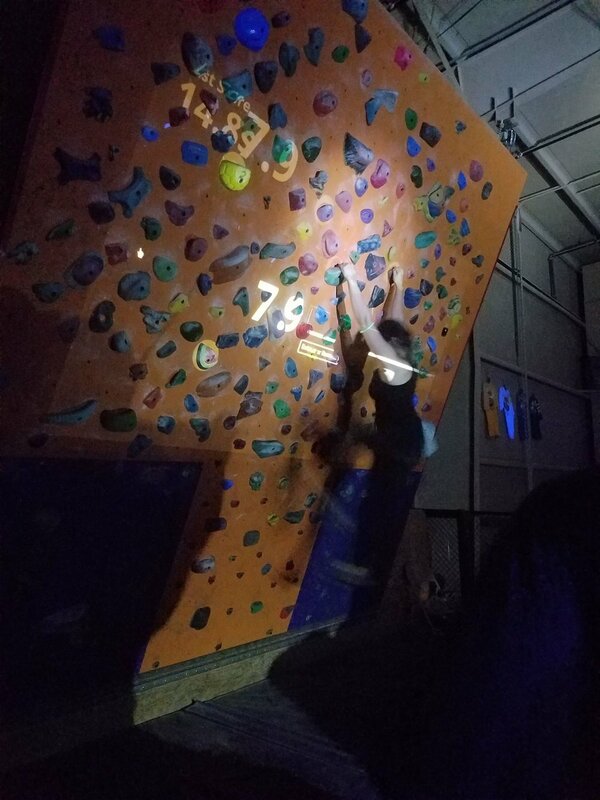 A new feature of the Halloween Blacklight Party: augmented reality bouldering! As the months went by, we flipped the pages of the legendary Setting After Dark calendar, shot by Josh Pestka. On the softer side of things, LIC’s Gym Director brought home his first baby boy Dutch just four days before Christmas. Congrats to Bill and Starr! We're so happy for you! In other news, Coach Randi/Fox cut off over a foot of hair, the LIC Chipotle FINALLY opened, and we showed the internet how it's done with the raddest Mannequin Challenge of them all. 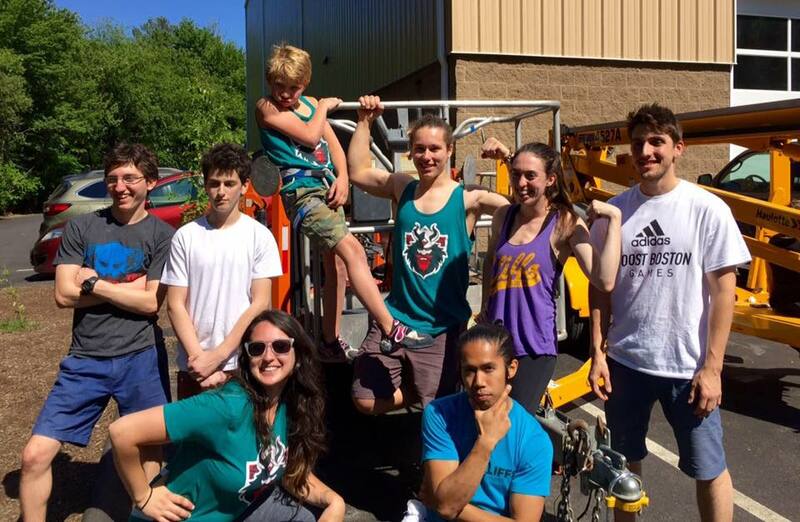 This year also held the loss of Phillip Schaal, a beloved member of the NYC climbing community. Phil's legacy lives on in the routes he set in Brooklyn, the boulders he put up all over the Northeast, and the hearts he touched in this city and around the world. Amidst proud accomplishments, devastating losses, frustration, and good feels, we hope we can be one of those little things in life that make the days go by smoother. Peace out 2016! 2017, we're coming at you.